Flex Orthopedic Services, LP has been delivering impeccable DME & O&P services as well as seamless patient care since 1998. 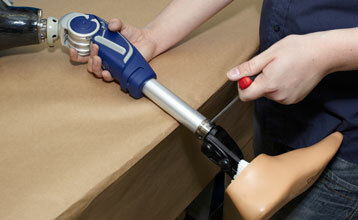 We are a BOC Accredited Durable Medical Equipment & Orthotics and Prosthetic Facility. We make it easy to acquire the products you need by providing leading products covered by some of the biggest names in Insurance (In-network with your insurance carriers). 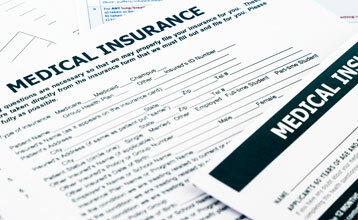 If you don't have insurance, Don’t worry, we have affordable “Self-pay” prices that ease your mind and your wallet. We make your healing process and comfort our first priority. We provide Cryotherapy, post-op bracing, compression therapy, casting and splinting and a host of other therapies and services. We provide Pre-operative & Post- Operative products for the healing and rehabilitative support of patients with leg, back, and arm injuries. Save time on your visit by filling out some of our more command medical forms. View some of the insurance carriers we are in network with, if you don’t see your carrier don’t worry, give us a call and we can confirm participation. As an “Accredited" Orthotic and Prosthetic DME Equipment Facility, we give doctors and patients service they expect. We have a special order process that gets your brace to you quickly. Custom, ready-fit braces are available for patients suffering from back, knee and joint pain. We also offer casting and splinting services, more in-line with urgent patient needs, we also cast patients for rehabilitative needs. Copyright © 2015 Flex Orthopedic Services, LP. All rights reserved.